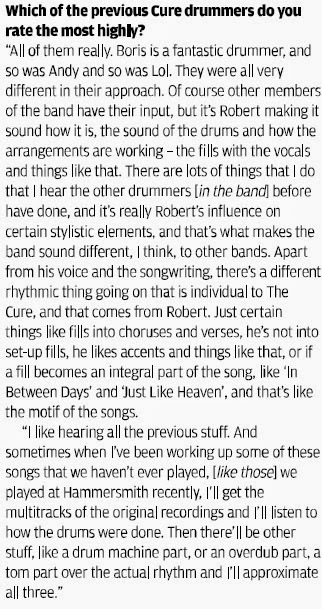 Interview with Robert, and performances of 'Fascination Street' & 'Want', from the Dream Tour stop at Livid Festival in Brisbane on Oct. 21st, 2000. "It's become pretty common knowledge, really, that this is the last big tour we'll ever do." THIS WEEK ONLY Receive a #special #bonus from the gallery when you purchase an #original #PearlThompson large canvas #painting. #Exhibition closes this week and is almost sold out. 📧 ellice@mrmusichead.com for more info. Pearl's exhibit has been extended. Will now close on March 23rd, not the 19th. 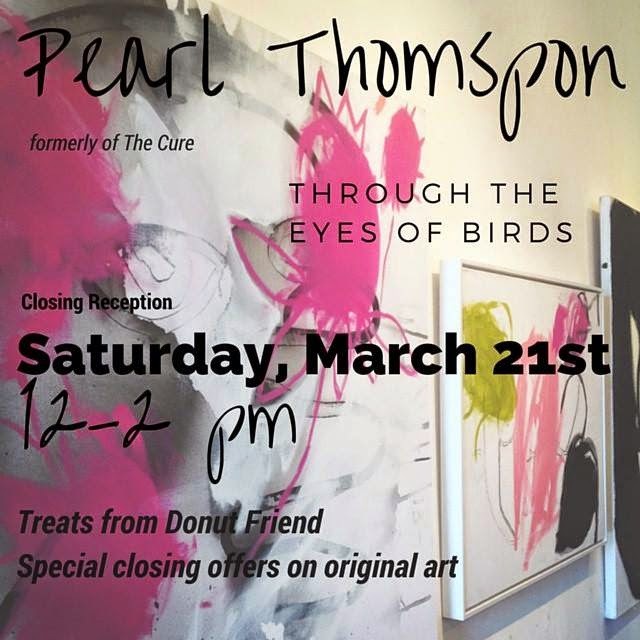 From MrMusichead Gallery on Facebook - "So many people have asked us if we're having a closing reception for the Pearl Thompson exhibit "Through the Eyes of Birds". We had to! ANNOUNCING Closing Reception this Saturday, March 21st from 12-2 pm with treats from @donutfriend inspired by the exhibit of ‪#‎original‬ ‪#‎paintings‬. Don't miss your chance to see this beautiful show in person! http://ift.tt/1BUQZe7"
Note: Pearl will not be at the closing reception. "The Cure's Jason Cooper talks about his 20 years with one of alternative rock's most influential bands." That's here in the New Orleans area, but if you like the shirt, might be worth a check of your local Dillard's. Also online. You guys have been a major label band for longer than you were an indie band at this point. Look, I’m a huge Cure fan. I love the Cure. The scales being tipped to when they weren’t on a major label compared to when they were seems pretty meaningless. 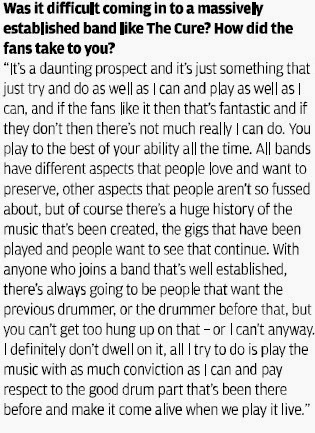 I had the good fortune of having them go before me and seeing their careers, musically at least, lose something. Like a novel written by a dead hand. There’s nothing quite there but it’s sort of still there. Which is why I’m willing to wait eight years before I put out a record. I just won’t do that to people who like my band. I like Modest Mouse. I’m our biggest fan. And enemy. I won’t waste people’s time by putting out a Modest Mouse record just because. That’s fair, right? Did you get to hear the new record? Well that didn't last long. Here's hoping it's a sign that this will be getting released on DVD/Blu soon. 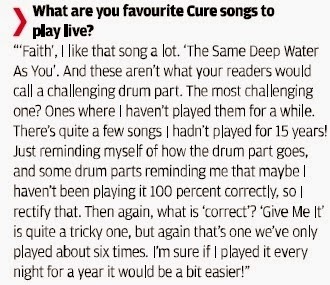 "Jason Cooper who drums in The Cure, he did all the percussion on the record. It's definitely got their influence in there."